Aubrac and surrounding area : during a stay in our hotel , discover the beautiful scenery and the exceptional heritage of Aubrac and Margeride. Even better: ride it with our partner Gevaudan Vélo! A press-book online to share with you articles that talk about us, appeared in mainstream newspapers or magazines. 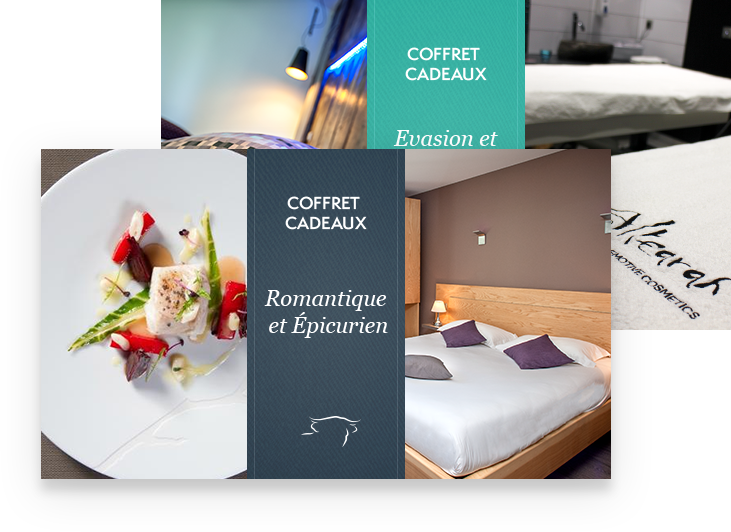 Gift boxes : Good gift ideas to give your loved ones as a charming stay in Chez Camillou bedroom suite, a menu for 2 at Restaurant Gastronomique Cyril Attrazic.